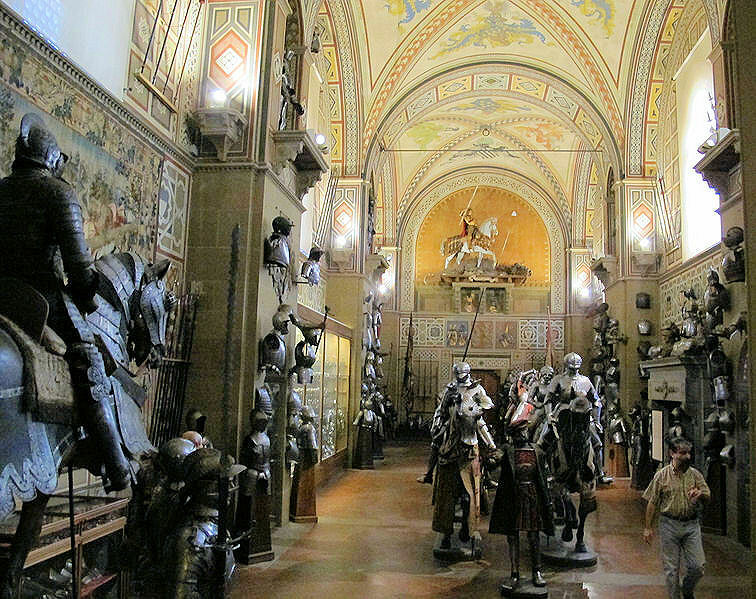 The Stibbert Museum in Florencce, Italy, houses one man's passion for collecting. A very unassuming entry to such displays of grandeur! All exterior photography is the property of EuroTravelogue™ and unauthorized use is prohibited. Happy New Year everyone and welcome to the first ArtSmart Roundtable of 2013! 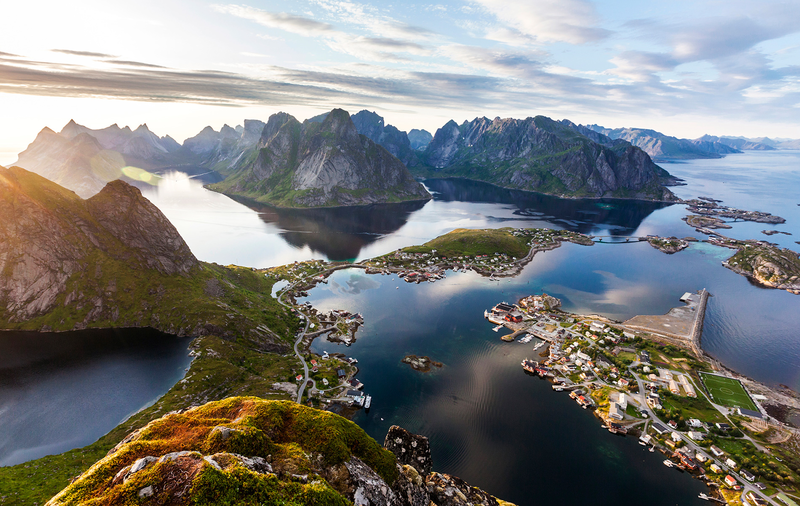 ArtSmart Roundtable is a company of art + travel bloggers who share their passion for art while traveling to exciting destinations around the world. Each month, we focus on one theme, medium, genre, etc. that we encounter in our travels. January's topic is the Best Museum You've Never Heard Of. Be sure to scroll to the end of this feature for my fellow roundtable constituents' articles. Also, find us on Facebook.com/ArtSmartTravel too! What qualifies a museum as the best is the question I asked myself when presented with this month's topic. And layer in the fact that it had to be one that most people including myself have never heard of. So after careful consideration of all the European museums I have visited in my travels, I recalled an obscure yet fascinating museum in Florence, Italy, the Stibbert Museum located outside the city centre on the Hill of Montughi. How many of you have heard of this museum? My guess is not many unless you're an amoury aficionado and familiar with one of the largest accumulations that spans four centuries; which further qualifies this museum as the best in terms of its unique collections. 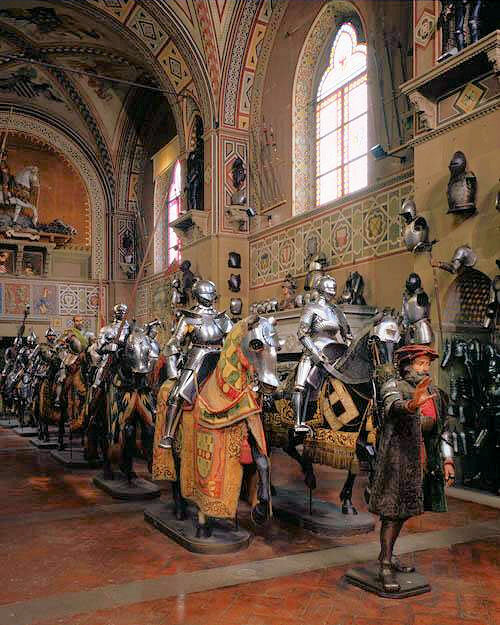 Elaborate collections of European armour fill many grand halls of the Stibbert Museum in Florence. Photo: WikiMedia.org. 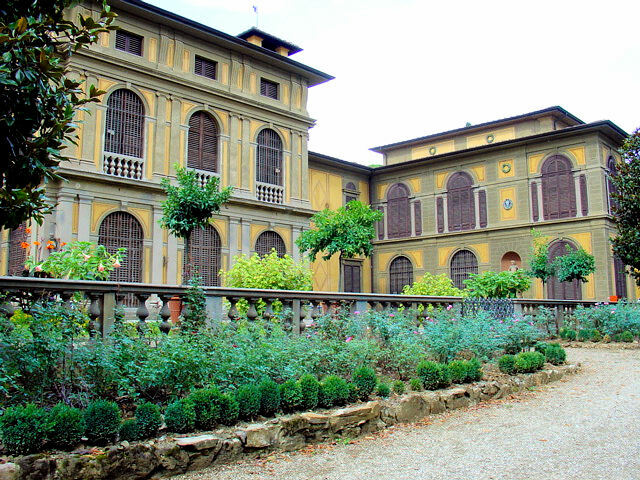 Located about 10 minutes from the Florence city centre, the Stibbert Museum, formerly the private residence of Frederick Stibbert, is an extraordinary villa-turned-museum with magnificent halls filled with the most fascinating collections of armoury from around the world. 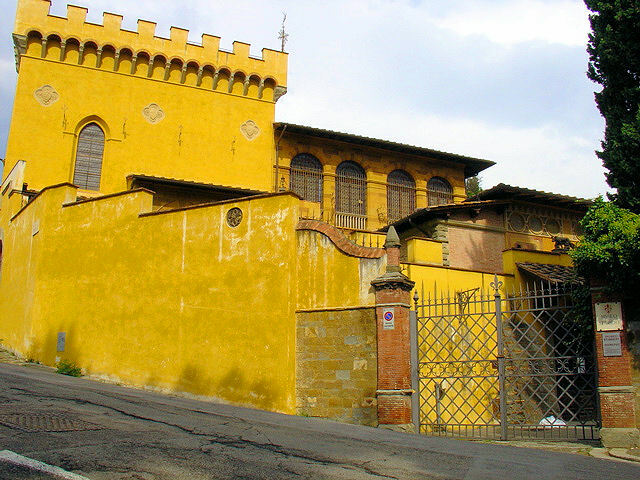 Donated to the city of Florence upon Stibbert's death in 1906, the Stibbert Museum houses one of the grandest collections of European, Middle Eastern and Japanese armoury dating back to the 15th century, not to mention galleries of paintings, costumes, ceramics and China—more than 50,000 piece in total! Born to a wealthy family whose fortune was made by his grandfather, also Frederick, a commanding officer of the East India Company and the Governor General of Bengal during the latter half of the 18th century, Frederick Stibbert the younger was obsessed with building massive collections of armour, costumes and weaponry among other artifacts including paintings. Fueling his passion was the fortune he inherited at age 22 and from that moment, he began to amass one of the greatest collections in all of Europe. Each room of the museum evokes an era from which the objects date and brings to life, in true-to-life form, the splendor of the various cultures with ornate costumes of magnificent design. Truly, one must behold in person to appreciate the grandiose displays of one man's passion! 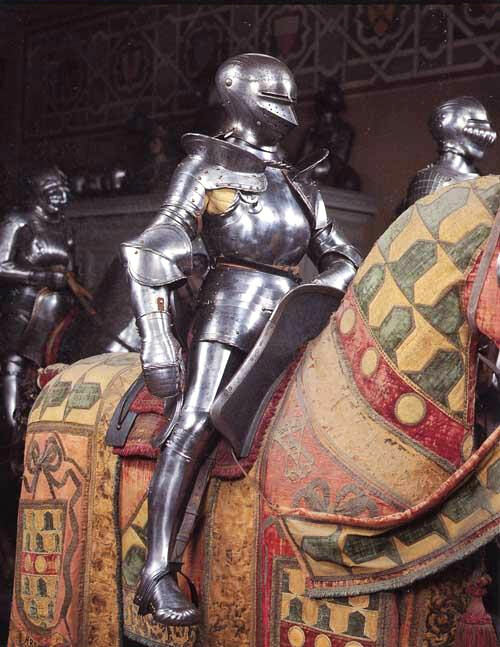 Close-up view of one of the European knights astride his steed in the Cavalcade Room. Photo: Courtesy of the Stibbert Museum. Unauthorized use is prohibited. Elaborately staged sets of life-size mounted knights in shining metallic armour, warriors and horses in full regalia, countless weaponry decorating walls and soldiers, spectacular galleries of paintings and ceramics; fill the grand halls of the Stibbert Museum and you can't help but be awe-struck by the sheer magnitude of each collection classified by place of origin or medium. Follow me on this grand tour through one of the most unusual museums I have ever been to—the Stibbert Museum. The Cavalcade Room brings to life the European armoury with mounted gleaming knights upon their trusty steeds donned in their finest ceremonial costumes. Photo: Courtesy of the Stibbert Museum. Unauthorized use is prohibited. Assembled between 1860 and the end of the 19th century, the European armoury collection includes armour, weapons and firearms mostly from the 16th and 17th centuries however, some objects peppered throughout are of the 15th and 19th centuries. Most of the armoury is German, Italian and French in origin and was used in battles as well as tournaments. Close-up shot of the ornate Japanese armoury. Photo: Courtesy of the Stibbert Museum. Unauthorized use is prohibited. 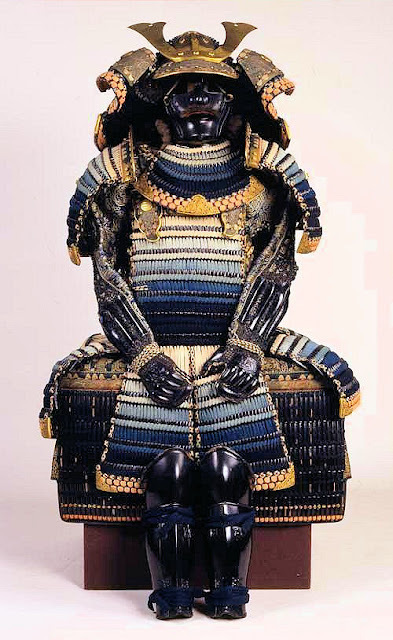 Considered one of the most significant collections outside Japan, this compilation of Japanese Amoury was purchased mostly from London and Florentine dealers after 1868 and includes 90 suits of armour, 200 helmets, 300 sabres, and 600 hilts or tsuba that date back to the periods between 1568 and 1868. The Islamic Armoury Salon. Photo: Courtesy of the Stibbert Museum. Unauthorized use is prohibited. 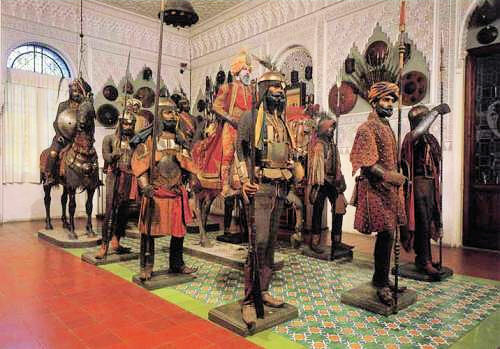 Probably started first by Stibbert's grandfather, Frederick, the Islamic collection was amassed during the latter part of the 19th century and includes an array of elaborately costumed figures, armour, weaponry, helmets and more from the Near and Middle East. Alessandro Farnese, grandson of Pope Paul III, was an Italian cardinal and a great collector and patron of the arts. Photo: Courtesy of the Stibbert Museum. Unauthorized use is prohibited. What I found particularly fascinating about Stibbert's collection of paintings was that it was not born of his appreciation for the pieces per se, but from his fascination with the attire worn by the subjects in fulfillment of his desire to bring them to life within his own collections. 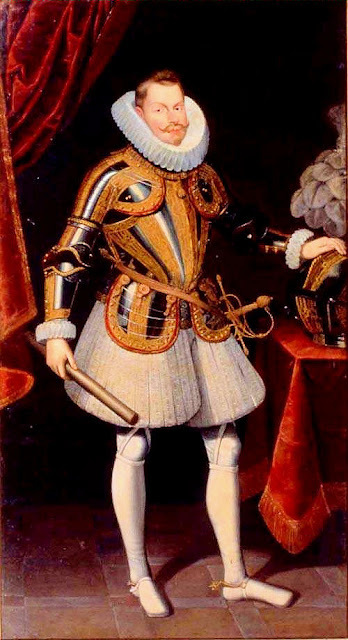 At the time, paintings were Stibbert's only access to images of the costumes and armoury as worn by the various cultures. 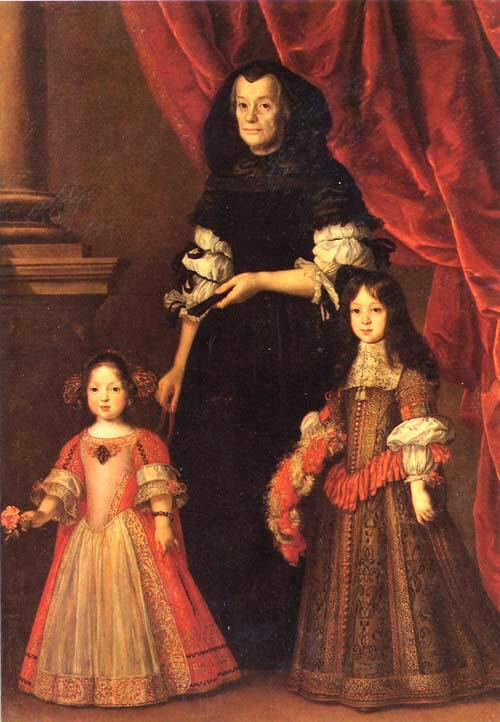 Portrait of the young Medici Princes with their nurse by Justus Suttermans (1597-1681). Photo: Courtesy of the Stibbert Museum. Unauthorized use is prohibited. The collection, comprised mostly of portraits dating back to the period between the 16th and 18th centuries, includes a Madonna by Botticelli, two saints by Carlo Crivelli, in the Dutch salon two pieces by Pieter Bruegel the Younger, Medici portraits, and finally two biblical scenes by Luca Giordano, and so much more—enough to fill many rooms of the Stibbert villa! 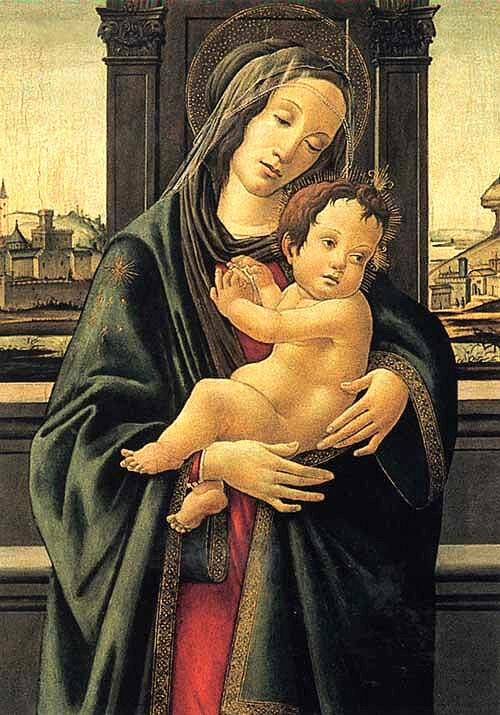 Botticelli's "Madonna and Child." Photo: Courtesy of the Stibbert Museum. Unauthorized use is prohibited. 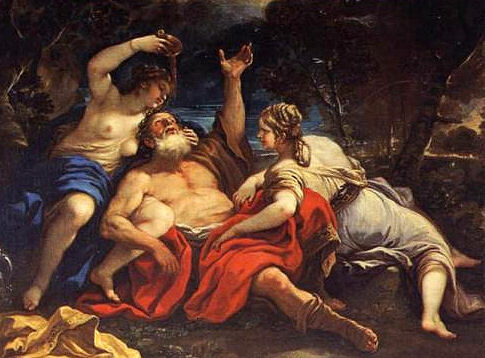 Luca Giordano's "Lot and His Daughters." Photo: Courtesy of the Stibbert Museum. Unauthorized use is prohibited. View of the rear exterior of the Stibbert Museum just before you enter the park. Eventually, Stibbert's collections would outgrow his original residence and so he hired professionals to help him expand: architect Giuseppe Poggi who also designed the park in the rear of the museum, painter Gaetano Bianchi and sculptor Passaglia. Today, the museum comprises 57 roooms and although much of the villa now houses his vast collections, you can still tour the original living quarters, specifically Stibbert's mother's bedroom and the drawing room. It's like stepping back in time to see the furniture, décor and artwork just as they left it 100 years ago. 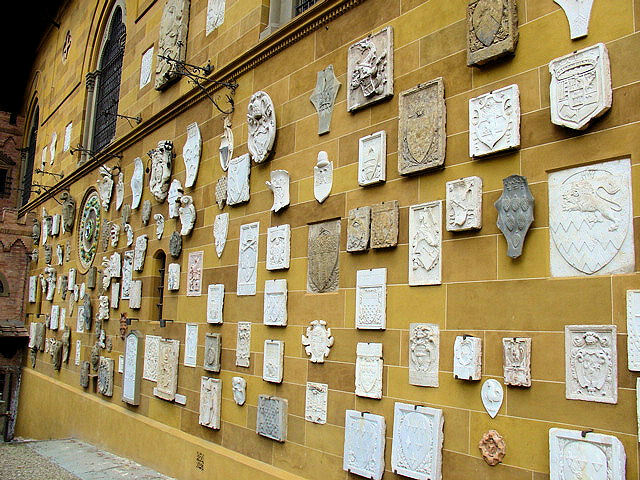 Enormous collection of family crests adorn the rear exterior walls of the Stibbert Villa. Once you exit in the rear, check out the exterior walls of the villa and you will find a rather large collection of family crests and sculptures. 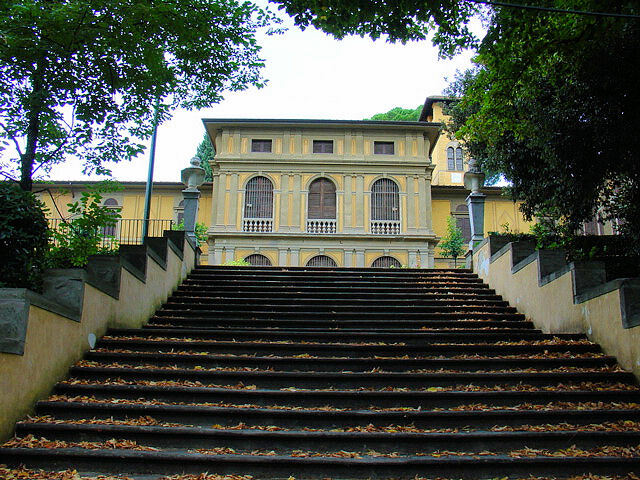 Steps leading down to the Poggi designed park in the rear of the museum. 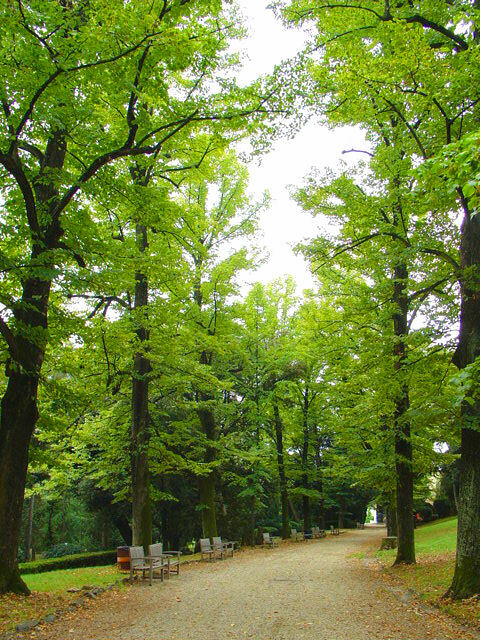 Behind the villa and down a flight of steps, an idyllic and scenic park designed by Giuseppe Poggi that beckons for a stroll through tranquil scenic paths, sculptures, caves and nature—so peaceful and worlds away from the hustle and bustle of Florence. Idyllic view of the park behind the museum. Hard to believe the Florence city centre is a short distance away. Although my visit was cut short due to the lateness in the day, give yourself two hours to tour all of the salons including a walk in the park. I hope you discovered something new today in our tour of the Stibbert Musuem in Florence, perhaps a new museum to add to your Florentine itinerary. Arrivederci! 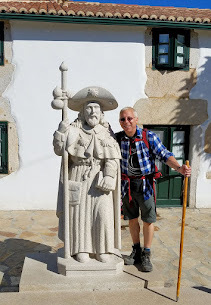 Visit MuseoStibbert.it for more information. Incredible that this was someone's private residence! The armour sends shivers up my spine. Sounds a definite must-see in Florence. Hi there Lesley and thank you so much for stopping by and sharing your thoughts! The massive collections just blew my mind when I visited...and to think that most of the pieces are 400 years old...astounding! Interesting! I have never heard of this place before. Just goes to show that there' no end to great sights in Florence! Hi there Jenna and thanks so much for stopping by! Yes indeed, it was a very interesting place. Actually, it wasn't my first choice but once I got inside, I was blown away! And yes, there is NO END to the greatness of Florence! Hi there Anila and wow, you recognized this place? You must have been wandering all over the city to have found this! Good for you! And yes, this summer, make sure you stop by for a couple of hours and don't miss the park! Thank you so much for stopping by and sharing your thoughts! Amazing post--I would love to live here (but don't love armors). Great find! I have a few other museums for you: I just wrote about the Woodson Art Museum in Wasau, the biggest collection of avian art in the world. A GEM! Also, have you heard of the Corkscrew Museum too in NAPA? Great post! My current favorite museum I never heard of is also in Italy, in Emilia Romagna. The San Colombano Museum, located in a wonderful old church building in the center of Bologna, houses the magnificent Tagliavini Collection of keyboard instruments. ALL of them are in working order, and the museum is the venue for regular concerts. Hi there Anita and thank you so much for stopping by. I have never heard of the San Colombano Museum but your information certainly has piqued my curiousity! Can't wait to research further. Thank you for sharing something new and your fav on my site. Really appreciate it. Facinating! I love to see someone's passions come alive. What a great collection. I would love to visit on my next trip to Florence. Hi there Cacinda and thanks so much for stopping by to share your thoughts. I couldn't agree with you more...it was a most fascinating visit. 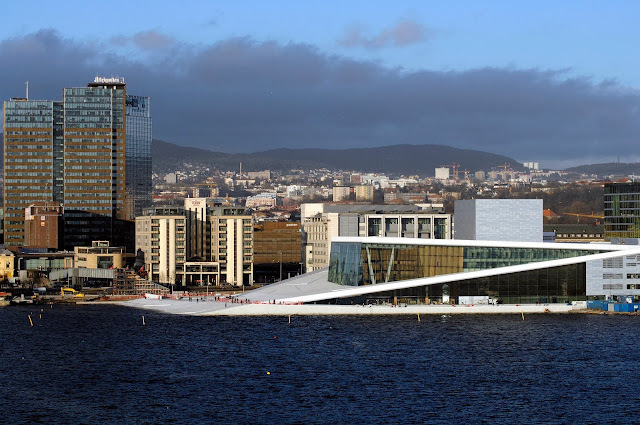 Definitely seek out the museum on your next visit! Florence has always been an interesting place for me and I think this museum adds to the list of the factors why the place holds that reputation. XD Thanks for the pictures! Hi there Yenny and thank you for stopping by! I couldn't agree with you more about the Stibbert Museum's contribution to the overall Florence experience...it should be definite stop on all itineraries! Merci mon ami! The entire museum was quite remarkable indeed! Funny, most visitors to Florence have never even heard of this place! Thank you so much for stopping by and for your kind words!